Our Children’s Birthday Parties includes a day full of fun & laughter for both kids and adults! 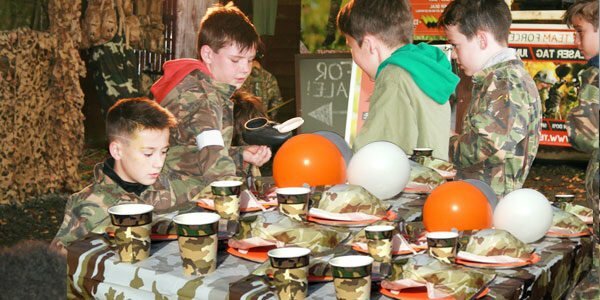 A birthday party at our Swansea based centre will provide one of the most unforgettable experiences for any youngster. Kids will live out their favourite computer game in real life with their best friends where they’ll be talking about it for weeks to come at school. What better way is their to solidify new friendships than by capturing the castle flag with friends in the final seconds of the game! 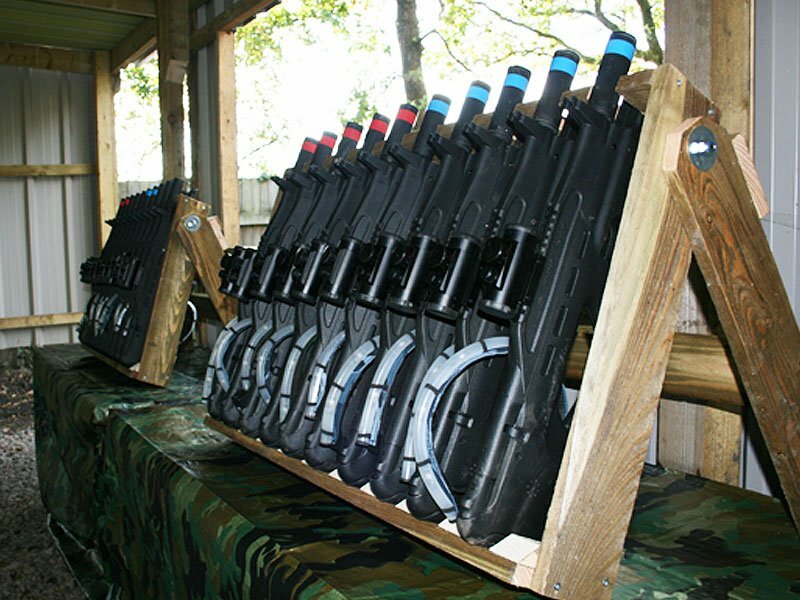 Choose either a Paintball or Laser Tag party and gear up for a fun-filled birthday battle!! Celebrate your birthday in Swansea where kids will leave with long lasting memories for them and their friends! 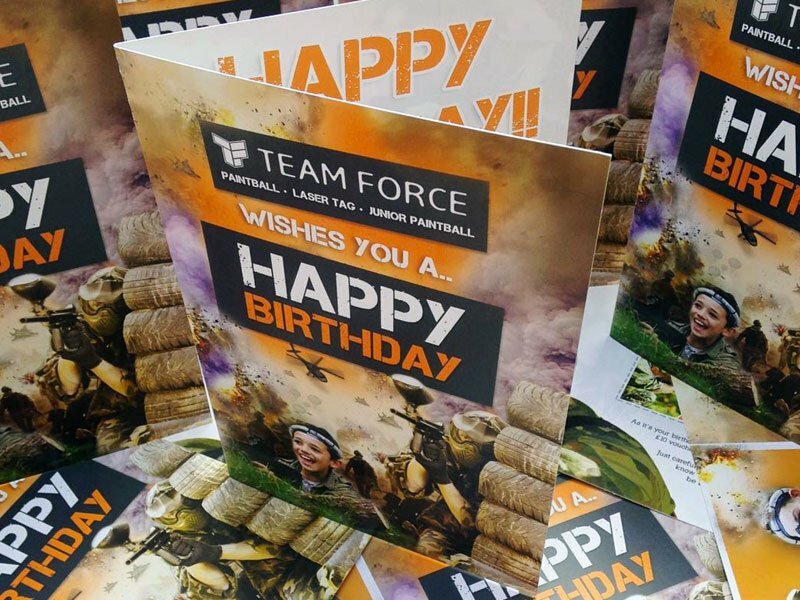 Book online and make your birthday party one to remember at Teamforce! 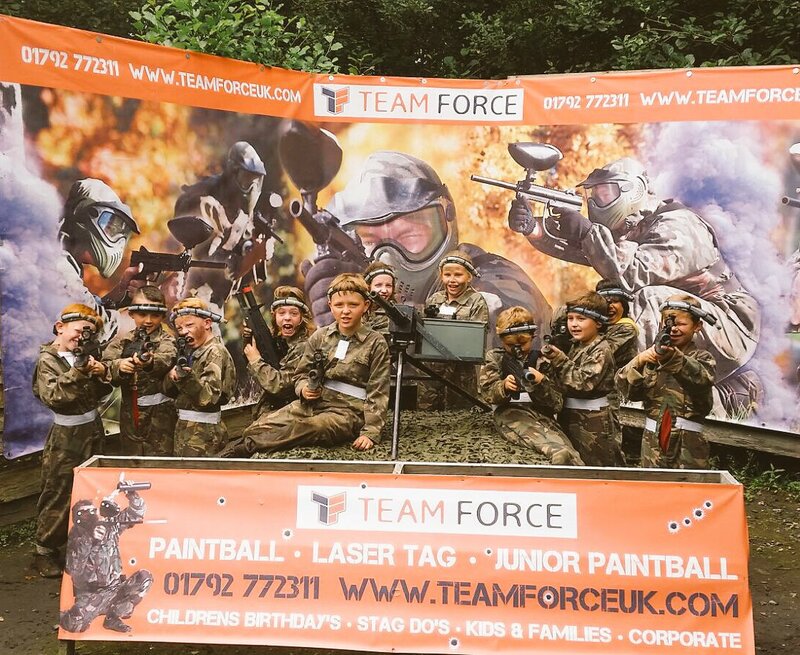 At Teamforce we offer birthday party packages for both Paintball & Laser Tag for children and adults aged 8 years and over. Please look below to see what best suits your birthday party! 2 hour session. Minimum 10 players. All this for just £18 per person. All this for just £22 per person. 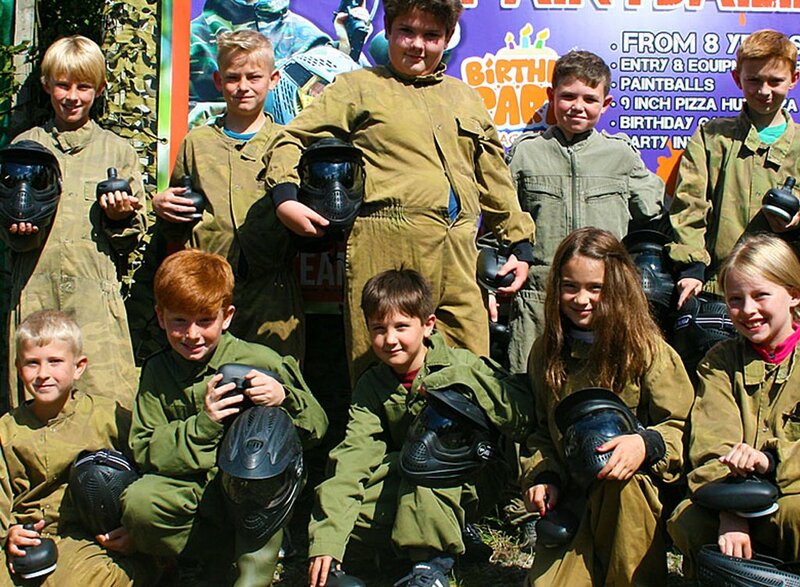 For over 10 years we have organised hundreds of children’s birthday parties in Swansea which are proven to be hugely popular with boys and girls due to the action packed fun of paintball. At Teamforce we are extremely proud of our very high safety standards and first class safety record for over 10+ years that we’ve been open in Swansea. Our fully trained marshals personally checks every players full head protection as they leave for each game. This ensures that they are safely secure and comfortable. 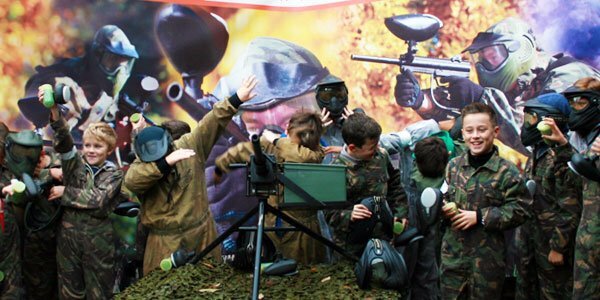 Every child will love being kitted up in ‘Call of Duty’-esque equipment where they’ll re-enact their favourite video games with their best friends for real! The kids will put down the video games for a day and will be free to roam our vast woodland area whilst enjoying the fresh air like the good old days! What better way to keep the kids active and tire them out! 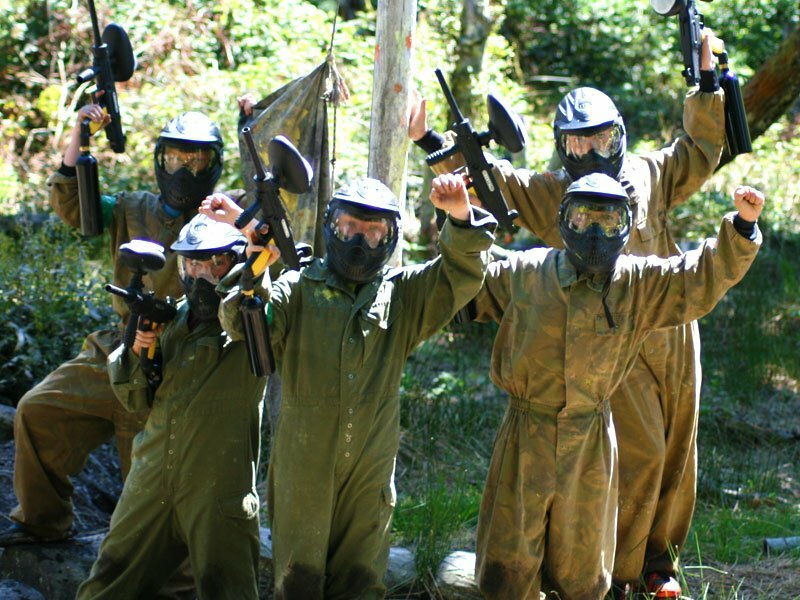 Paintball is a proven way of increasing a child’s communication and interaction with classmates, teammates & friends. 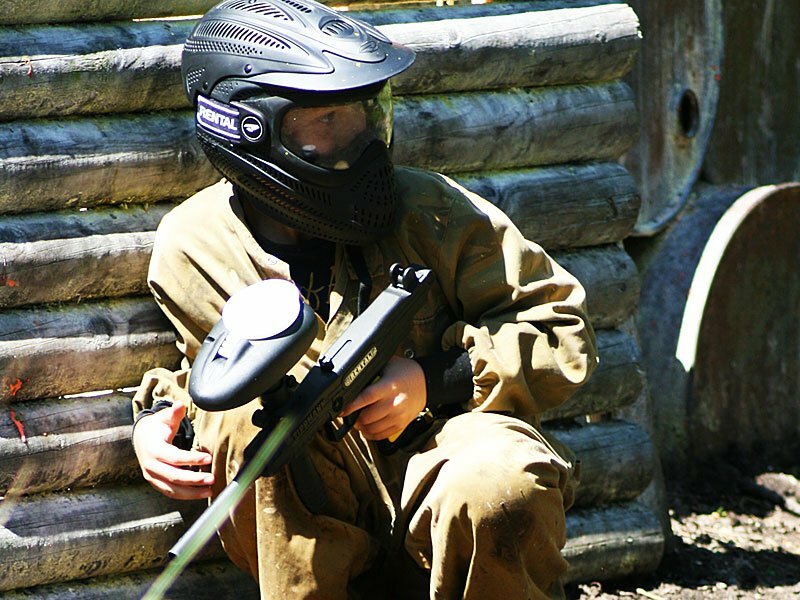 We offer both Paintball & Laser Tag for children aged 8 years and over. 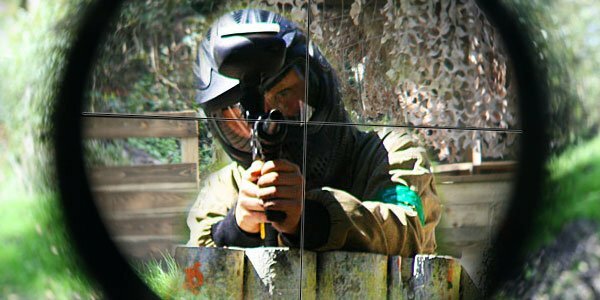 Paintball birthday parties are a great way of increasing children’s communication & interaction with his or her classmates, teammates & friends. Make the birthday boy or girl feel extra special with our birthday invitations available to download online at the bottom of this page. Every player is kitted out with protective goggles and receives a safety brief before playing Paintball with us. 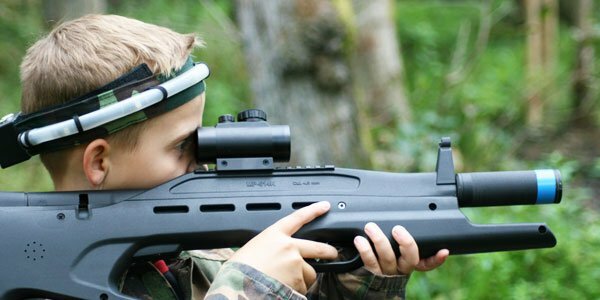 Our Laser Tag & Paintball equipment is lightweight so its suitable for all children who play at our Swansea based centre. Pictured are just a handful of the happy players we’ve had at Teamforce for Children’s Birthday Parties in Swansea in 10+ years! 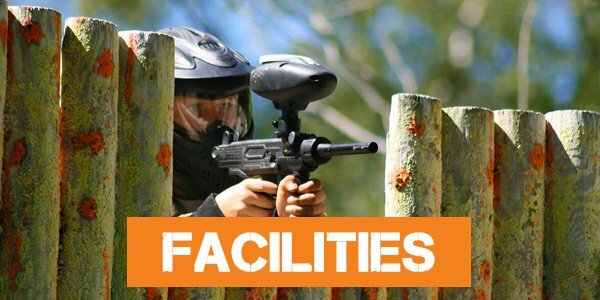 Our Paintball Birthday Parties are the best way for your kids to make memories that will be talked about for weeks to come at school. 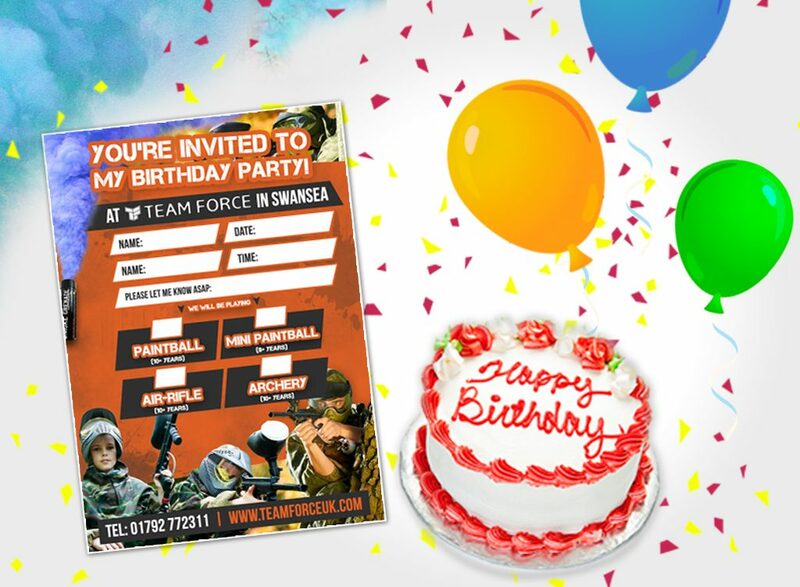 At Teamforce Paintball & Laser Tag in Swansea we offer safe fun & action packed birthday parties all year round. 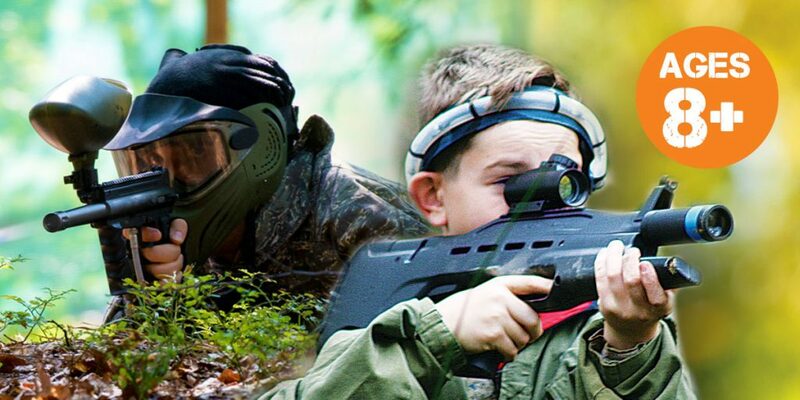 Our 15 acres of woodlands promises that the birthday boy/girl and their friends will be thoroughly worn out after a day of paintball or laser tag! 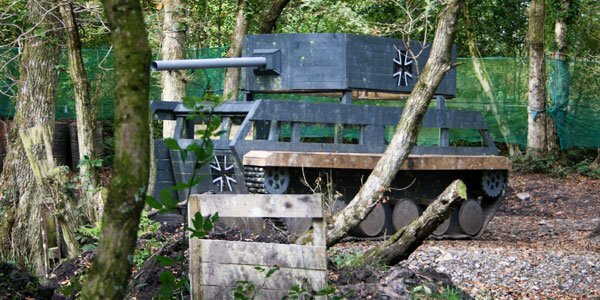 At Teamforce our ex-military designed game zones include Castles, German Tanks, Bunkers, Bridges & more! Come join us at Teamforce in Llangyfelach, Swansea where you’ll have a blast in our natural woodland. What do I need to bring for the day? Money – incase they want to buy extra ammo etc. 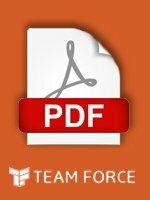 We know safety is a major concern for parents and that’s why at Teamforce it’s our No.1 priority. 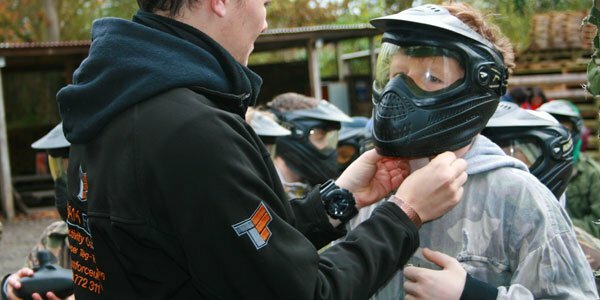 Here at Teamforce Paintball our standards of safety are extremely high along with our procedures and equipment. 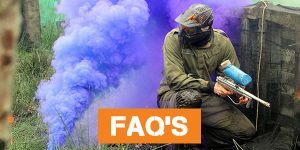 Teamforce have a exceptional safety record in paintball and junior paintball and are very proud of our commitment to maintaining these levels. What should they wear paintballing? Do you have Food & Drink onsite? How many paintballs will the kids need? We highly suggest everyone brings some extra money just incase they do want to buy more paintballs on the day though.